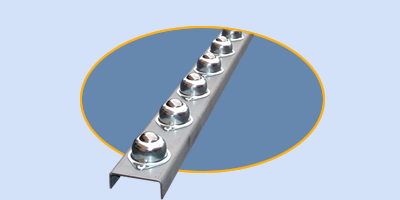 Ball Transfer Rails - Roll-A-Way Conveyors Inc. These single-frame rails are custom designed for transfer systems. The ball transfers allow for fast change-of-load direction. Available in 5’ or 10’ lengths with 1” or 1-1/2” ball transfers. mounted 3, 4, or 6”. Steel thickness is 12 ga.